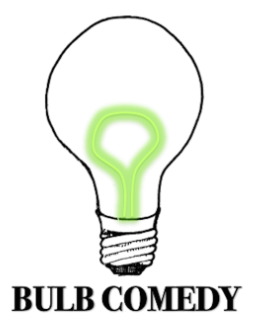 Welcome to BULB COMEDY, you're go to comedy collective for laughs and sexual innuendos. Here at Bulb we want you to feel uncomfortable, attacked and ​scared for your life. Our sketches are written, filmed and edited in company, by our members Gabby Bryan, Tim Dougherty, Zack Signore and their beloved Queen Producer Hannah Rose Ammon. Bulb includes a plethora of featured players that also aid in tomfoolery: Director Courtney Baxter, Alec Funiciello, Declan Eels and Laura Haefeli. Our company members include young comedians hoping to place a handprint on your heart. Once in a blue moon, during the witching hour, when the devil is among us, our company gets together to write topical comedy sketches featuring original characters and satirical perspectives making fun of you, your family, your country and your culture. We want to make sure that you don't take life too seriously because, like a wise man once said, "nothing matters". We want you to love, hate and revere us. We want you to gives us compliments and send us hate mail. We want you to get VERY drunk and binge watch all of our videos and tell all your friends about how you'd like to marry us. And last but not least, we want you to pay us. Cold, hard cash. Chedda. Dolla Bills. American Currency. Shekels. Please stay tuned each week for new sketches, and feel free to hire us to write on your show. Hail Satan.